Flavio Behring is a Brazilian Jiu Jitsu Red Belt who was taught the martial art by both Helio Gracie and João Alberto Barreto. Apart from Flavio Behring’s personal contribute to BJJ, he also fathered two of the sport’s biggest stars in the 1980’s, Sylvio and Marcelo Behring. No weight classes at the time, though Behring weight around 198lbs/89kg. Flavio Behring was born on the 21st of November, 1937. 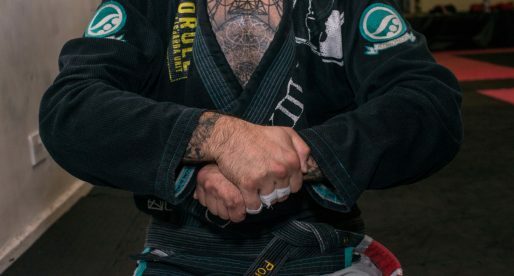 He started learning the trade of Jiu Jitsu when he was 10 years old as a way to stay active and possibly fight back the asthma attacks that he suffered regularly, though this did not work according to plan and in fact more then often the asthma would get worst due to the dust and impurities on the mats when practicing Jiu Jitsu. His first school was Helio Gracie’s academy in Rio de Janeiro, where Flavio was taught in individual classes. In 1951 Flavio started being coached at the Gracie Academy in Rio Branco, Helio Gracie had great hopes for Flavio and commissioned João Alberto Barreto (one of the academy’s best coaches) to polish the young Behring and make him the best he could be. In this class he started sharing the mats with all the top Jiu Jitsu men of those days, guys like Carlson Gracie, Helio Vígio, Armando Wridt and many others. One day, as Flavio arrived at the gym, Carlos Gracie said to him “lets go for a walk”, they drove to a gym where Flavio found out he was about to test himself against one of Oswaldo Fadda’s students, a 20 year old who had a black belt in Judo was Flavio’s opponent. This was Behring’s first test and he was 15 years old at the time. Flavio Behring stated on an interview that he was so nervous he could barely stand straight, and naturally he got taken down repeatedly in the fight, but one of those takedowns he managed to sink his arms around his opponent’s neck and put him to sleep. In 1955, Joao Alberto Barreto had a serious knee injury and had to stop coaching at the gym while he convalesced. Flavio Behring who was training full time took his position at the academy with both Barreto and Helio Gracie’s consent. At the age of 20 Flavio started coaching on his spare time at a YMCA but when João Alberto Barreto opened an academy in Copacabana, Flavio started helping Barreto on his spare time while working in the advertising industry at the same time. In the 1970’s he went on to open a gym in Barra da Tijuca together with Ricardo Murgel who was also a student of Barreto. 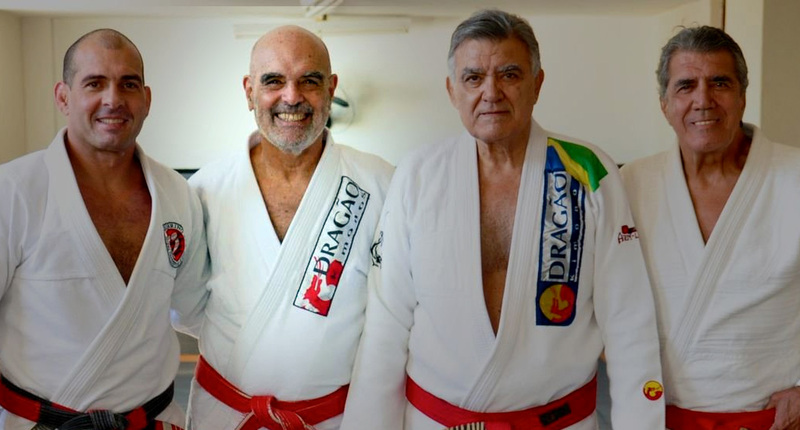 In 1987 Flavio was offered a job position in São Paulo, Behring and his son Marcelo, who at the time was one of BJJ’s shining stars, saw a lot of room for Jiu Jitsu’s growth in that state of Brazil, so they went there and developed their school. Marcelo Behring was a famous name in both the fighting and the surfing circuit, and his charisma and dedication drew many bodies to the sport. 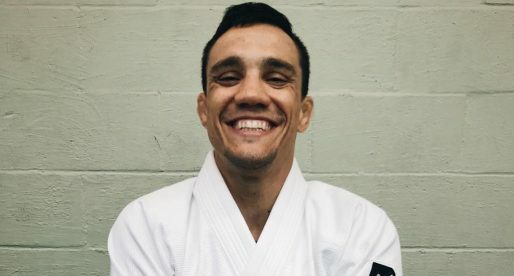 Marcelo Behring helped develop the sport tremendously in Sao Paulo, but in the early 1990’s he succumbed to drug addiction and stopped training, his tragic death in 1994 came as a shock to the Jiu Jitsu community. The Behring clan managed to hold together, and Flavio Behring continued to coach Jiu Jitsu, he received his red belt (the greatest single achievement in Jiu Jitsu) from the hands of his good friend and former coach Joao Alberto Barreto. 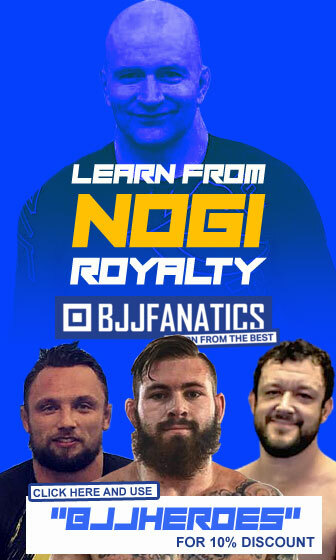 The most nicest and interesting man in BJJ world!!! 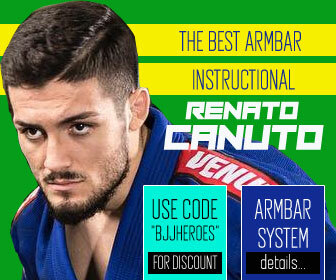 The best BJJ coach you can find!!! This is a real Master, a Samurai! Flavio Behring is a true gentleman and jiu-jitsu master. I've been honored to learn under him and am so awed at his skill, his attention to details and they way that the 75 year old can do brazilian jiu-jitsu! I love that he represents the real self-defense/valle tudo of the art (which is sadly being replaced with the more tournament style). I've been lucky enough to go to his seminars over the years, eat sushi next to the man (what a great conversation about Brasil we had! ), listen to my professor tell me stories of him and really learn to love and respect this man! 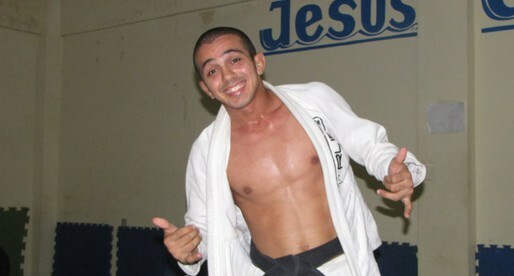 Flavio Behring is really a BJJ hero! 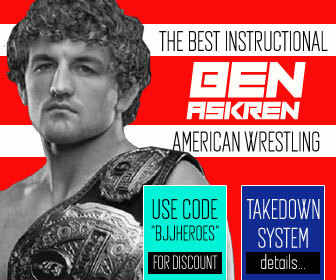 Ive come fond of the newer tourney styled jiujitsu. Im studying under sylvio behring progressive system under a black belt and deffinatly notice that tournament teams dont have as much respect for the actual art but these guys compete and ive never caught them lacking any respect or forgetting the real art. Like any contructive critisism on my thoughts, Till then, Ossss. Does Master Flavio teach in Brazil? 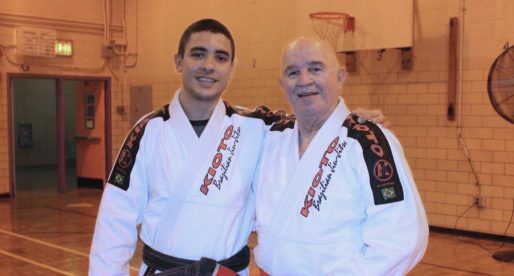 Grande mestre Flavio ,Honor en conocerlo y llevar nuestro Jiujitsu a otro nivel..